Home » Greenroom » Paper Towels or Hand Dryers – How To Decide? 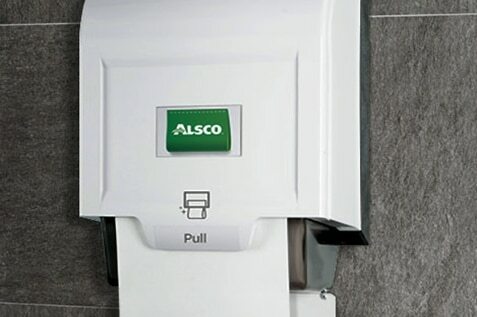 Paper Towels or Hand Dryers – How To Decide? We live in a world in which technology permeates almost every aspect of our lives. It is so omnipresent that we can hardly imagine living without it anymore. One of the consequences of this is that we are often biased when it comes to deciding on solutions to everyday challenges. If faced with choice between a technological and a non-technological solution, we are much more likely to chose the former. While this is a common sense approach, it doesn’t always have to be the right one. Take, for example, hand hygiene. Technological solutions usually revolve around air dryers, such as warm air and jet air dryers. 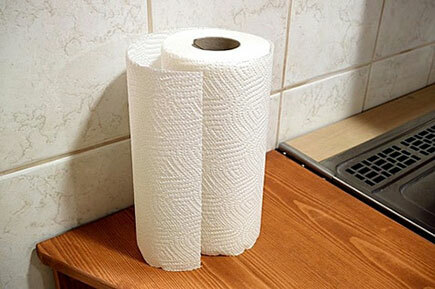 While there is no doubt those can be effective, research consistently shows that the older method involving paper towels scores better both in the field of efficiency and hygiene. A study conducted by the University of Westminster in 2008 showed that there are many important differences between air based drying techniques and paper towels. This was a hugely more impressive performance than the figures for warm air hand dryers, which seemed to nurture bacteria rather than kill them. On finger pads, the number of bacteria types increased by as much as 414%, and up to 478% on palms. 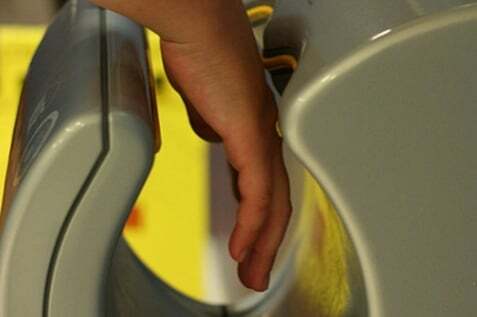 Jet air dryers also saw increases, with 193.3% more bacteria on finger pads and 82.2% on palms. As a form of hand drying, meanwhile, the jet air dryers and paper hand towels both achieved about 90% dryness after 10 seconds (the average time people typically spend drying their hands). However, achieving the same degree of dryness with a warm air dryer took 40 seconds, making it the least efficient. The chasm in drying efficiency and bacteria removal comes down to hard graft. The rubbing motion on the skin physically removes more bacteria, while the paper hand towel absorbs moisture from the skin, thereby lifting the water-bound bacteria off. But hand dryers rely on powerful streams of air blowing the moisture and bacteria off the skin, a method of hand drying that could never be fully effective. What is more, ‘blowing’ moisture off the skin is not a hygienic option either. As any microbiologist will testify, air movement only disperses micro-organisms, so contamination is increased dramatically. And since drying with paper hand towels involves no air movement at all, there is no contamination, making it the most hygienic method of hand drying. Warm air hand dryers are not as guilty of spreading contamination since they far less powerful (thus the poor drying ability) and blow downward, so neighbouring users are not in the ‘line of fire’ so to speak. From the practical point of view (which tends to be important in the business world), air dryers are a much better option, since, after the initial investment, hand dryers do their job without requiring too much intervention on the side of the staff. Paper towels, on the other side, need to be restocked all the time and generate waste which needs to be disposed of. Paper towels require dedicated bins which can take precious space in smaller washrooms and also need to be emptied on a regular basis. Paper waste does not look good when present in larger quantities and can also be a health hazard. It is important to choose wisely when it comes to deciding on the type of hand drying which will be offered in a public washroom. One of the most important factors is, of course, how cost efficient each of the solutions is given the particular needs of the place. Paper towels will always win in terms of hygiene. Air dryers are clear winners in the categories of environmental protection and practicality. The choice is hardly an easy one, but needs to be made anyway. 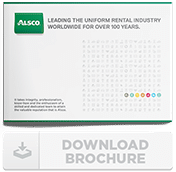 Alsco offers a free, no-obligation audit of your workplace, which can help you make the final decision. Call now and help yourself decide!